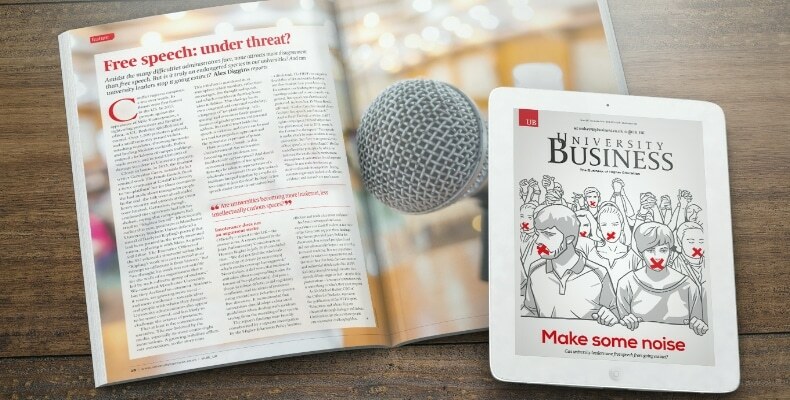 News > Events > The November issue of UB magazine is out now! 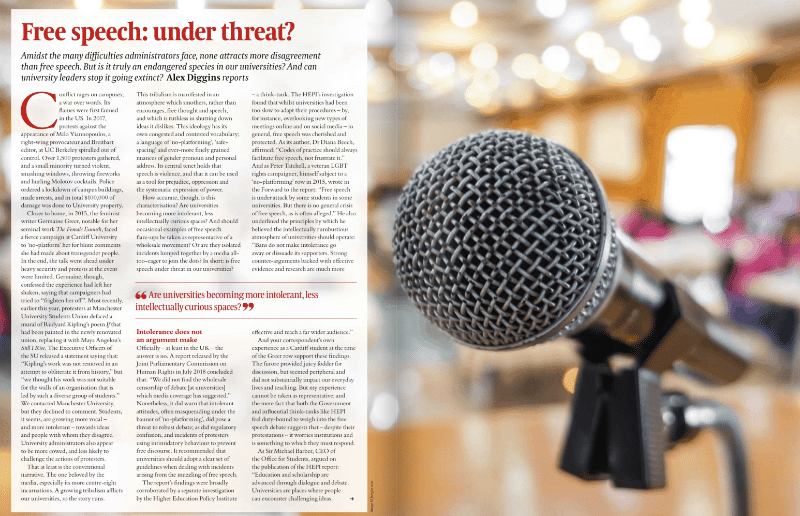 ON THE COVER – Free speech: under threat? Amidst the many difficulties administrators face, none attracts more disagreement – or more media attention – than free speech. But is it truly an endangered species in our universities? And can university leaders stop it going extinct? From high-tech news rooms and triple-glazed glass walls to state-of-the-art laboratories, living walls and living spaces, we look at the brightest and best estates developments that are enhancing student experience and wellbeing around the UK. 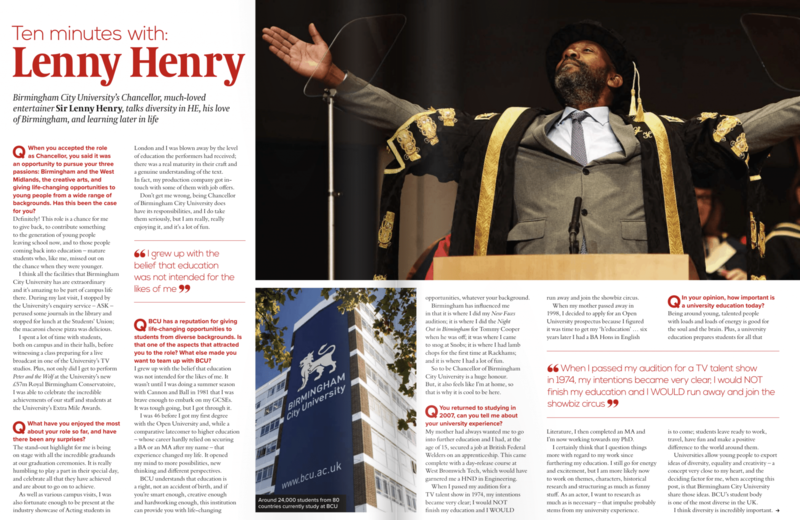 Birmingham City University’s Chancellor, much-loved entertainer and national treasure, Sir Lenny Henry, talks diversity in HE, his love of Birmingham, and learning later in life.